SurfShark offers all the desirable perks, including military grade encryption, impressive high speeds, the ability to unblock content (websites and regional), 24/ 7 customer support, affordable subscription rates and a whole lot more. If SurfShark’s claims are anything to go by, then they truly deliver. I was impressed with the fast speeds, reliability, strict no-logs policy, and advanced encryption. The VPN also offers unlimited concurrent connections, a perk rarely seen amongst top ranking VPNs. What’s more, its 2-year plan is relatively cheap, and if you feel like terminating your subscription, you can take advantage of their 30-day money back guarantee – which doesn’t have any strings attached. SurfShark offers three subscription plans. There’s a month-to-month subscription, which comes in at $11.95, and is a pretty expensive option if you’re on a budget. There’s also an annual plan that retails at $5.99/month, which will save you up to 50% annually. And there’s a 2-year plan, which is $3.49/month. This is obviously the best value of the bunch, but you’re also committing to something for 24-months, with no guarantee that service will be as solid in the future as it is today. As far as payment options are concerned, they’ve partnered with Stripe and Norton to accept a number of major credit and debit cards. PayPal is also an option. SurfShark is amongst a handful of VPN’s that accepts Bitcoin payments and other major cryptocurrency options. This is an excellent payment channel if you’re looking to conceal your online identity, even during the payment process. SurfShark doesn’t have a free trial, but instead offers 30-days money back guarantee. SurfShark comes standard with features including a kill switch, multi-hop connections, whitelister, CleanWeb and a DNS leak protection functionality. Its Whitelister feature helps you during split tunneling to single out apps and sites to bypass the VPN. 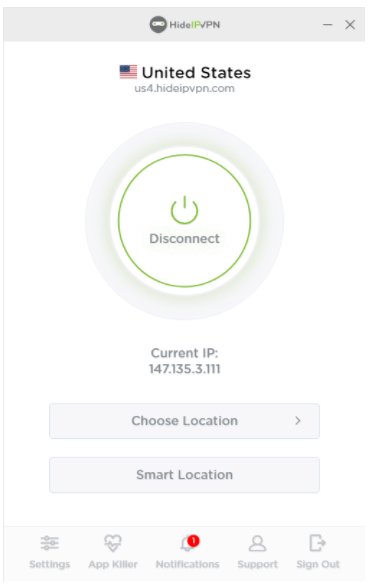 The kill switch feature comes in handy when you leave your connected device unattended since it’ll disconnect you from the Internet whenever your VPN connection drops. 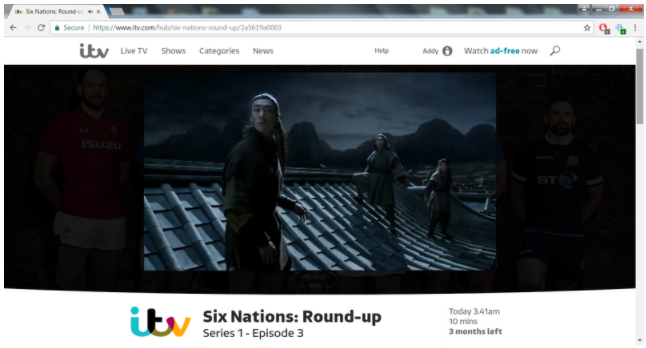 SurfShark uses CleanWeb to block ads and other annoying adverts whenever you’re surfing online. This feature plays a significant role to torrent lovers, especially considering it also blocks out suspicious download links that could compromise your privacy. 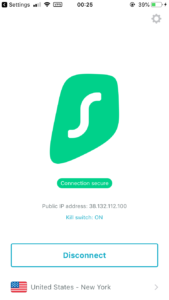 Additionally, to protect yourself from cyber-attackers, the prying eyes of government and local ISPs, SurfShark has a multi-hop feature so can create multiple VPN connections, what makes it hard to trace your identity. Surfshark also allows for unlimited simultaneous connections at unregulated speeds, bandwidth and high server switching. It’s also optimized for effective streaming of media content in HD, and the company has a strict zero-logs policy, allowing for anonymous torrenting and secure P2P file sharing. One of the most impressive features of SurfShark is that it works well in China. So, if you’re looking to travel to China, remember to download SurfShark before you leave. The website itself is self-explanatory, and easy to navigate. It’ll take you less than five minutes to register an account, and less than ten minutes to purchase a subscription plan. All SurfShark client apps are pretty straightforward and easy to download. Most client apps sport a similar design and have the same settings features. 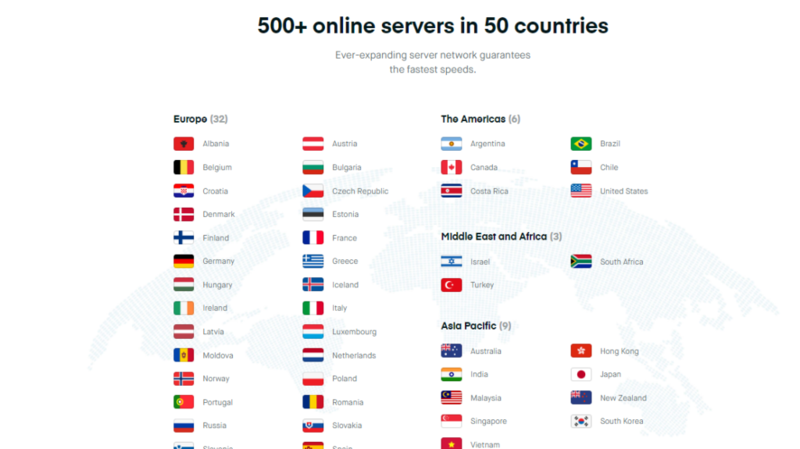 SurfShark has an impressive 500+ server distribution across 50+ countries globally. While its server coverage is not that convincing, I predict that they will keep expanding at an unprecedented rate. 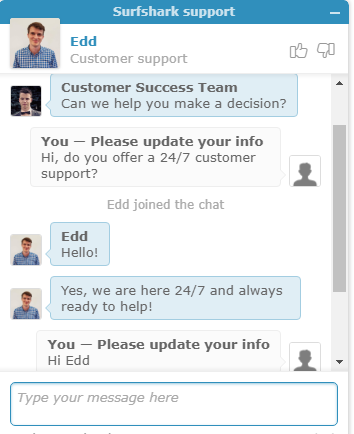 SurfShark has a noteworthy customer support system, including 24/ 7 live chat support that I was really impressed with. I chatted with a support Agent who was fast, polite, and very responsive to all my inquiries. SurfShark boasts about its fast speeds, so I used a speed test tool to test everything out. 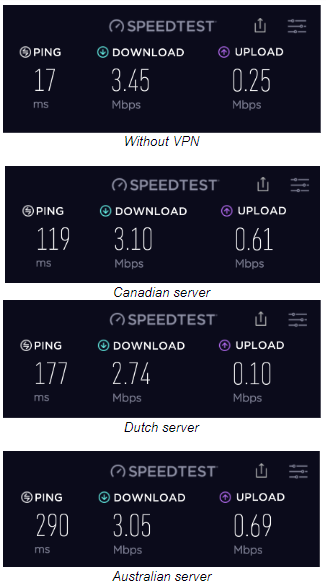 Here’s a snapshot of the results I recorded without a VPN connection. 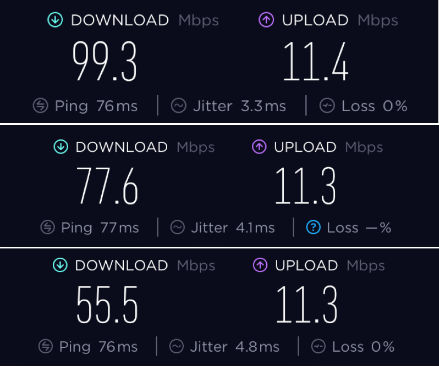 In my second speed test, I connected to a server closer to my actual location. Check out how my results are similar results to my results above. 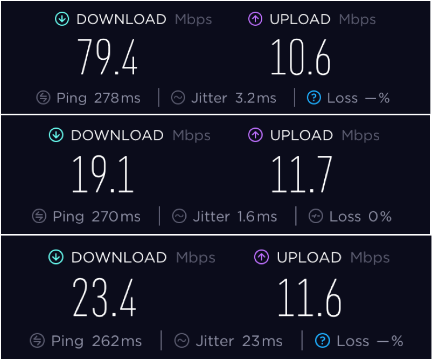 The results I recorded when I connected to a server far away from my physical location were not much different either. Surfshark recorded zero DNS leaks. SurfShark uses military grade infrastructure that is reliable, private and secure. The VPN redirects all your traffic to a tunnel and uses AES-256 encryption advanced techniques, ensuring that your online privacy is observed. It also supports both OpenVPN and IKEv2 connection protocols, which allows for anonymous torrenting and secure P2P data sharing. SurfShark has all the perks to top the charts when it comes to privacy. The company is based in the British Virginia Islands, which positions them beyond the reach of legal jurisdiction of any government or union. 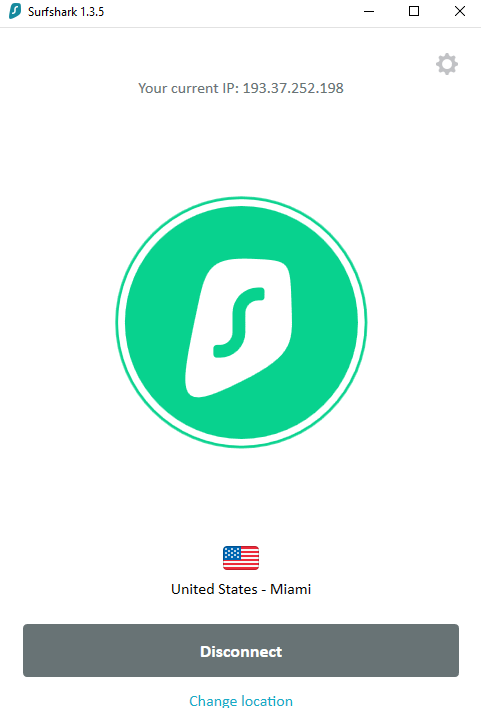 Unlike other VPN services based in the US and parts of Europe, SurfShark is not bound to share your user data to any government entity, if requested. 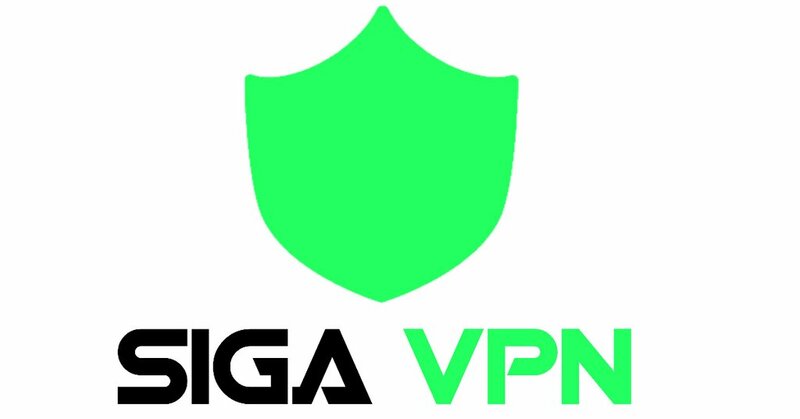 SigaVPN is a newcomer to the VPN arena. Started in late-2017, it’s a small, niche provider making some strong claims – no logs, anonymous, mostly free, P2P-friendly, and fast. Whereas some claims are hard to verify, let’s see if SigaVPN has what it takes to become your next go-to free – and secure – VPN provider. As of this writing, SigaVPN offers three premium servers – one in Chicago, another in Nevada, and one in Canada. Notably, the premium servers are donation-based. You can donate $1 via PayPal, or credit/debit cards, and enjoy the amplified service. As you would expect, the donations are non-refundable, but you can set your contribution to be a recurring payment to support the service. 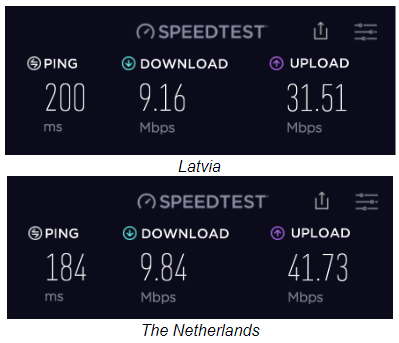 The four free VPN servers are located in the Netherlands, Latvia, Sweden, and Romania. There are also two free DNS servers in the US and Netherlands. Considering it’s a mostly free VPN with dirt-cheap paid servers, SigaVPN certainly looks attractive for anyone on a budget. They don’t accept Bitcoin or cash, but the good news is you don’t need to register with them. 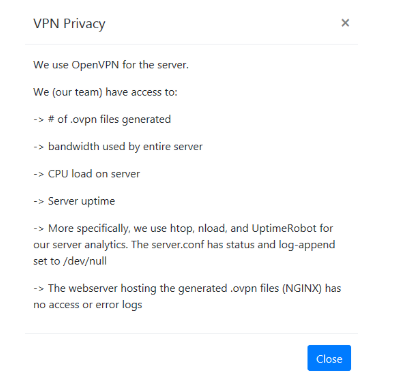 SigaVPN relies solely on the OpenVPN technology. The VPN doesn’t offer a standalone client, simplifying its development process, which makes sense for a small provider. 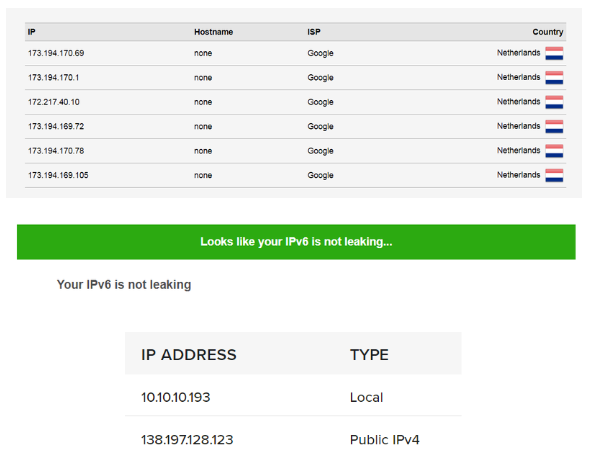 Instead, SigaVPN generates a unique OVPN configuration file each time you download one from their website. All you need to do is add the file to your OpenVPN client. No accounts, usernames, passwords are ever involved. Excellent. On a side note, you do need to sort out the OpenVPN client and make sure you have TAP adapter installed. But you only need to do it once, while adding the config files is easy. From there, connecting and disconnecting is straightforward, if a bit awkward usability-wise. SigaVPN is minimalist top to bottom. You won’t find lengthy FAQs, ad copy, or pricing pages. If you need assistance, drop them a line – email support typically responds within 24 hours. Other than that, three instructional videos on the site show you how to install SigaVPN on Windows, Android, and iOS. You can also run it on most OpenVPN-compatible platforms – MacOS, Linux, routers, OpenBSD, Solaris, FreeBSD, NetBSD, and QNX, but no instructions are available for them. This might give the provider an air of secrecy, but if you check their Reddit activity, you will find the provider – and user community – to be quite lively and responsive. What did make me cringe a little is how the short copy is geared toward experienced users. The provider assumes you know your VPN vocabulary. For a free service, it’s a fair deal if you ask me. Since we’re dealing with the OpenVPN client, there’s no kill switch, firewall, selection of protocols, or other nifty bells and whistles you’d find in proprietary software. On the other hand, if you’re tech-savvy, you will appreciate the ability to read the config file, view logs and troubleshoot things on your own. Even my basic skills were enough to realize my installation lacked a TAP adapter to work – all I did was check the log file. 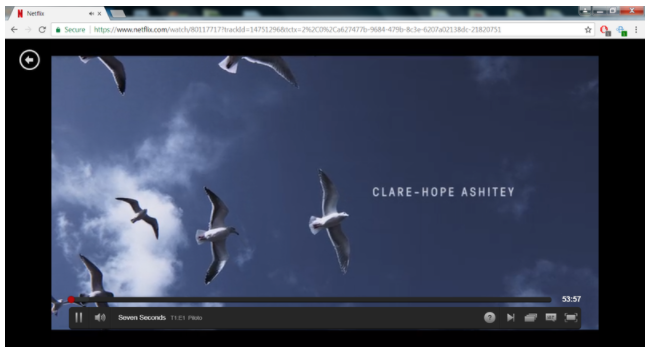 SigaVPN is torrent-friendly, and it worked seamlessly with my BitTorrent client. Considering it’s a free service, and the one you can set up on your router, you can use as many devices as you need simultaneously. Kudos. Understandably, you can’t expect the free VPN servers to match top-notch premium competitors. 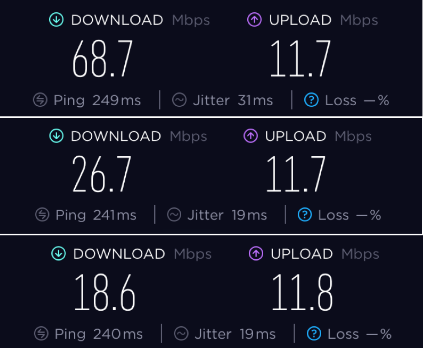 Still, all the free SigaVPN servers performed well in my synthetic speed tests beating some of the big-fish VPNs. Unfortunately, there’s not much SigaVPN can brag about when it comes to streaming unless you want to stream something that’s only available from a very short range of IPs. 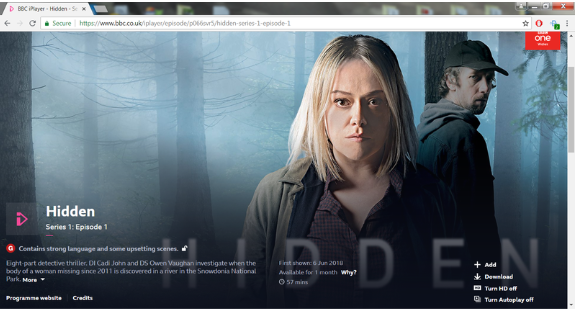 No BBC, Netflix, Channel 9, or HBO – configuring the DNS doesn’t help either. So SigaVPN isn’t something you’d use to catch up with your favorite TV shows. SigaVPN looks solid on the surface – OpenVPN, AES-128 encryption, no logs, own DNS, automatic ad-blocking, open-source, and anonymous. As I said earlier, you don’t even need to register an account with them. As a result, your browsing activity isn’t tied to your identity even if the no-logs claim is false, which is impossible to verify anyway. Unfortunately, the PP is somewhat jargon-heavy and doesn’t bother to explain what means htop, nload, UptimeRobot, or why “server.conf set to dev/null” is a good thing. The company assumes it’s enough to prove it means business. But to an average skeptic like me, it may sound like nerd gibberish they throw at you when they want to you stop asking “self-evident” questions. But my biggest gripe here is you don’t know who’s behind the scenes. There’s no ToS page, and the About section is three sentences long. Jurisdiction? Affiliation? Go figure. A Reddit thread reveals SigaVPN is based in the US, and it’s not meant to generate money for the developers, who subsist on sponsor donations and fund the servers out of their own pockets. You can also mine crypto for them if you wish to support the endeavor. I know for a fact that altruism isn’t dead, but I wouldn’t do ultra-private things through their VPN. Considering the provider’s particular fondness for torrenters, I’d wait for another six months to hear back from the current users (because copyright notices may take up to a year to land in your mailbox). SigaVPN is a promising new provider that does many things right. It uses OpenVPN, 128-bit encryption, and collects no logs, offering free servers with good speeds. Their paid servers are downright cheap, and the whole boodle is torrent-friendly. On the other hand, it’s only months old, US-based, somewhat technical, and lacks transparency. All things considered, it’s an excellent choice if you’re on a budget and don’t need to leak state, Illuminati or corporate secrets. VPN O​​ne Click is cheap, speedy and easy-to-use. With servers in 41 countries, PPTP at 128-bit and L2TP/IPSec 256-bit encryption, and cross-platform apps, you’d think this UAE-based service has it all to be a viable solution. Still, it’s a far cry from what you’d call a serious VPN. A hideous desktop app, unreliable performance, and no support for OpenVPN make it a niche provider I can’t recommend. See what I mean? The pricing is on a per-device basis. The price gets bloated if you need to cover more than one device. And the sheer amount of subscriptions you end up having to manage for just one service is ridiculous. In theory, VPN One Click offers a free trial. Their FAQs suggest there’s a free version, too, but their support claims they don’t have free servers. In practice, the free trial is dysfunctional – the apps come “expired” the moment you install them. VPN One Click support tried to persuade me it’s because I had their VPN installed at some point in the past. The next moment the agent tells me to re-install the trial version because that should fix my “expiration” issue, at which point our conversation lost any sense. So I went on to install it on several of my devices. I ended up with six instances of VPN Once Click installed on my Windows and Android devices to no avail. All of them were expired from the start. If you run into the same issue, you need saintly patience to make this VPN work. Your best bet would be to stalk their 24/7 live chat support. I managed to get my free trial to work after six days of live chat and ticketing back-and-forth with polite but indifferent – and clueless – customer service. Nothing helped until I started huffing-and-puffing about the sub-zero review I was going to leave on Google Play. VPN One Click is compatible with Windows desktop, Windows Mobile, iOS, and Android devices. The Android app is standard and comes with a selection of servers, and zero customization features. All you can do is connect and disconnect the VPN. But the Windows desktop app is even worse – zero settings, customization, or transparency. I was never able to tell which protocol was used for my connections. The UI is hideous. You can’t adjust the program’s window, while its real estate is occupied by a useless map, which isn’t even interactive. While it’s not a problem for a large screen, I couldn’t navigate the app on my smaller 14-inch laptop because the hamburger icon didn’t fit onto the screen at all. The nested servers list keeps closing itself. Each server is at least two clicks away, and the servers are listed by IP, not by city or region. If you want to bypass some local sporting even blackout and need to connect to a server in neighboring state, you’re going to poke at servers randomly. Nor can you view the servers’ ping time, load, or add favorites. 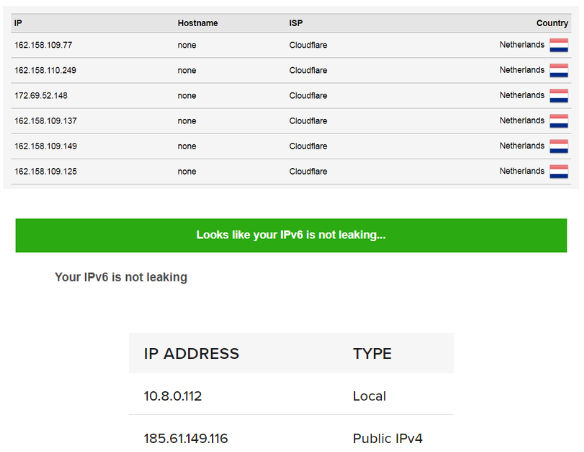 The current server IP kept reverting to my real IP even when the VPN was still connected – very confusing. More frustrating is that the VPN client makes zero effort to manage your connections, or warn you when it drops. When I closed the window while the VPN was still connected, the VPN client shut down – without terminating the current connection. When I re-launched the client, it failed to recognize the VPN was connected. This is a huge problem since you can’t trust the app to accurately tell you if you’re protected, or not. 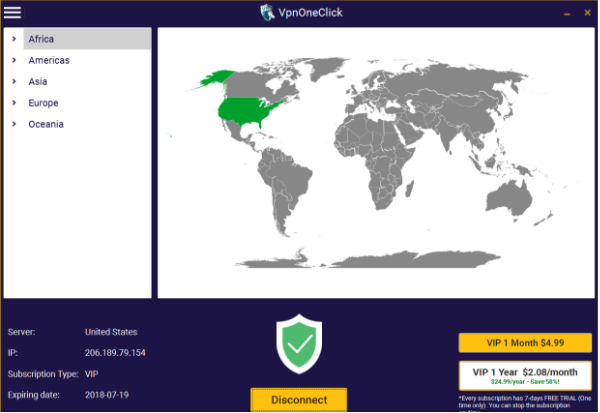 VPN One Click has servers in 40+ countries and ships a single-button app that only allows you to connect and disconnect the VPN. There’s no support for OpenVPN, and torrenting isn’t allowed. Your torrent client will crash, or the VPN client will exit with an error. No simultaneous connections are allowed. If anything, you can use the same subscription on your mobile devices, provided they are on the same platform, and you use the same Apple ID for iOS or Google Play ID for Android. There’s no kill switch, firewall, protocol or port options, DNS controls, last-used servers, or Settings. Nada. Nor did it have any significant effect on my speeds, which comes as no surprise since the app doesn’t support OpenVPN. It’s the latter’s strong encryption that tends to take a toll on VPN connection speeds. With PPTP, or even IPSec, the speeds are better, but security lags. If there is one thing that’s worth praise here is that the service doesn’t need your email to subscribe. When you first install the app, it assigns you a unique ID you use to process the payment. On the other hand, VPN One Click uses the horribly insecure PPTP. 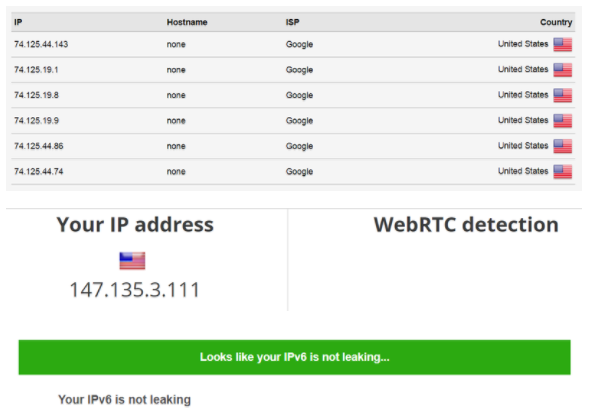 Their website claims they also use L2TP/IPSec 256-bit protocol, but you never know which protocol is at play when you connect. So savvy users won’t be impressed by the VPN’s tech specs. The parent company Kryptotel is headquartered in the UAE, with offices in Hong Kong and Seychelles. The company claims it can’t be compelled to hand over your data to law enforcement since it doesn’t collect any logs or personal details and has no international obligations. VPN One Click could be cheap for novice users looking to protect one device. But it lacks features, reliability, usability, and security. There are much better VPNs at affordable rates these days. HideIPVPN is a small but capable VPN provider with Moldovan roots but run by Server Management LLC based in the U.S. 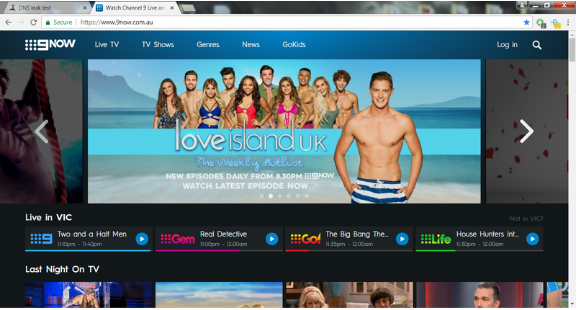 Although the company has a relatively modest network of 29 servers across 10 countries, it provides consistently good speeds and unblocks a wealth of streaming websites. 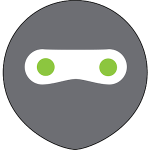 HideIPVPN offers a 24-hour free trial on its VPN + SmartDNS subscriptions and a 7-day free trial of their SmartDNS-only plan. It comes as no surprise then that the company’s 30-day money-back guarantee comes with draconian limitations. Namely, you only qualify for a refund if you can not connect to any of their VPN servers using all VPN connections available in your package, which is an unlikely scenario. You can’t ask for a refund if the speeds are unsatisfying, if you can’t unblock some streaming or gaming service or can’t setup HideIPVPN on your modem or router. Also, only Mac, Win and Linux users are eligible for a refund, and not iOS or Android folks since app store purchases are subject to the iTunes/Google Play refund policies. 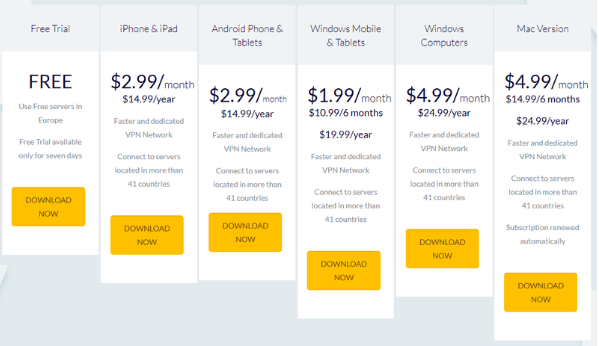 The provider positions itself comfortably in the middle of the VPNs pricing line. It’s not too expensive, but it’s nowhere near cheap either. Their monthly subscriptions kick in at $5.99 for the US-only VPN plus SmartDNS and Proxy (same price for the UK- and Poland-only packages). Likewise, BitTorrent-only VPN is priced at $5.99/mo, $12.99/4 months, and $39.96/year. Their SmartDNS plan will set you off $4.95/mo, $12.96/3 months, and $39/year featuring 200+ unblocked websites, allowing an unlimited number of devices per account. Their all-inclusive Ninja Power package includes all 27 premium VPN servers, SmartDNS and Proxy. P2P is allowed on German and Dutch servers, and you can have three simultaneous connections per license. OpenVPN, SSTP, L2TP/IPSec, SoftEther, IKEv2, and PPTP are supported. Priced at $9.99 per month, $22.98 per three months, and $69.96 per year, it’s certainly more attractive in the long-term subscription. 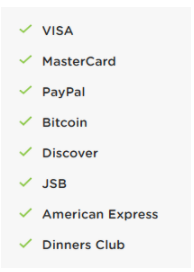 HideIPVPN accepts credit card, PayPal, and Bitcoin payments. 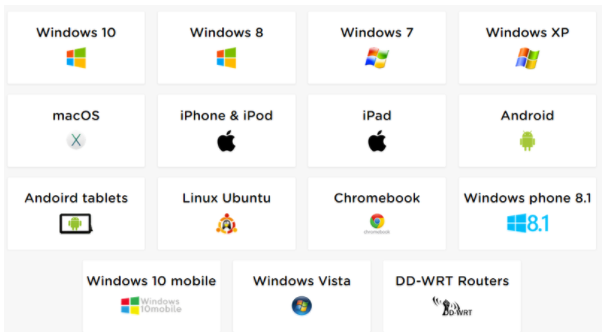 HideIPVPN supports most flavors of Windows including Windows Phone 8.1 and Windows 10 Mobile, as well as MacOS, iPhone/iPad, Android, Chromebook, and Linux Ubuntu. You can also manually set up its VPN on modems and DD-WRT routers. I went ahead with the 24-hour free trial. It requires no payment details but you need to submit a valid email (no masked/disposable emails are allowed). I received two emails immediately upon registration – one containing user credentials for the website dashboard and another with credentials for the VPN. Simple. Fast. Kudos for that. Once I logged into my user dashboard, I was able to find the installer and setup instructions in a jiffy – the user area is compartmentalized and intuitive. The Windows client is sleek, dead-simple in usage yet complete with a few welcome toggles. 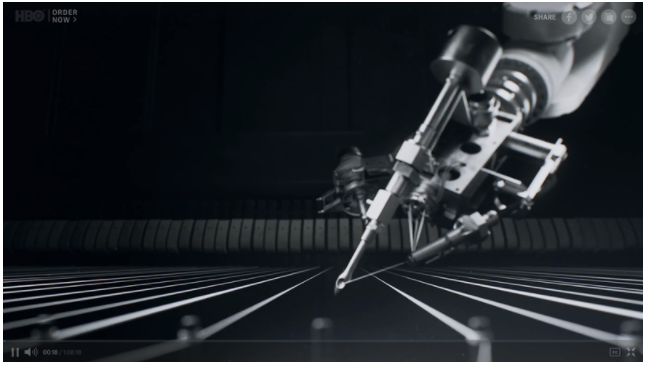 Overall, it worked like a well-oiled machine and threw no glitches or performance issues. It also comes complete with a Support tab, where you can generate a log file and send it to support for debugging with a click of a button. It’s also jam-packed with useful links to your client area, setup guides, downloads, and legal pages. 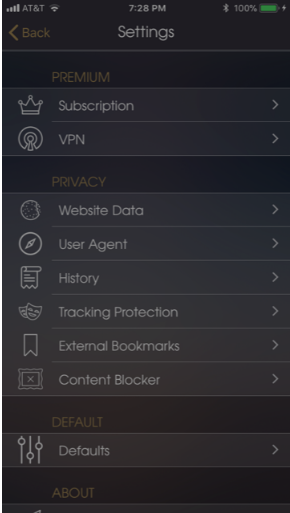 HideIPVPN’s Android OpenVPN-based app is equally easy-to-use and efficient. I was able to connect and get streaming in a matter of seconds. As for the customer service, things got a bit wacky for me. 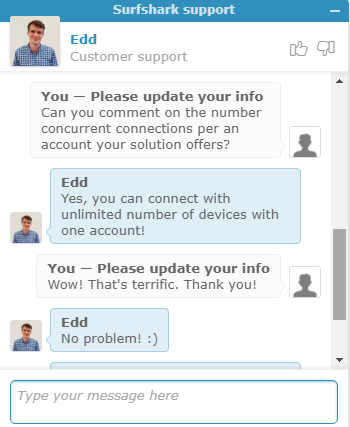 The provider offers a 24/7 live chat support, and the agent even greeted me (could have been automated, though). But once I asked where the company was registered, the live chat window went mute and reloaded itself after about an hour of being idle, erasing my question. No kudos for that, especially since finding the company information wasn’t easy. 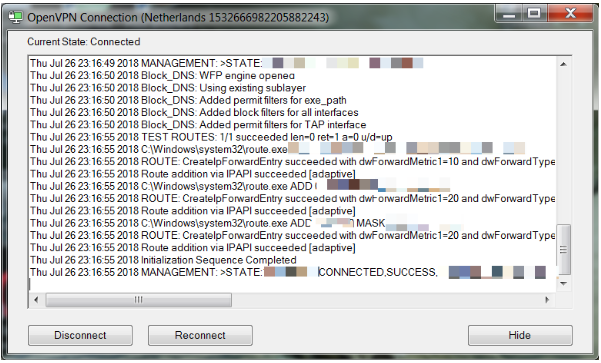 HideIPVPN allows three simultaneous connections per license and P2P-torrenting on German and Dutch servers. Its native VPN client comes complete with toggles to switch VPN protocols or use SmartDNS instead. This is a neat feature because most SmartDNS providers never bother to go beyond the hideous manual DNS setup. 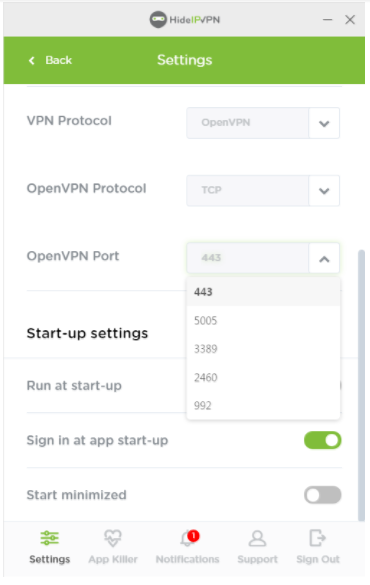 For OpenVPN, you can switch between TCP and UDP and protocols 443, 5005, 3389, 2460, and 992. No protocol switching is available for SSTP, though. You can also enable the App Killer, which basically functions as a kill switch that closes listed applications when the VPN connection drops. You can also set the app to re-connect automatically and enable a DNS leak protection. The list of servers is sorted by countries and you can star each server separately. Smart Location will pick the most efficient connection for you. 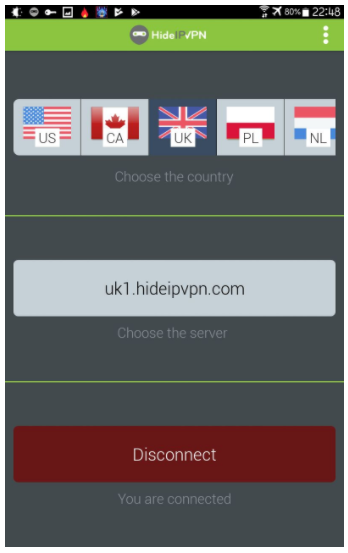 HideIPVPN has servers in the U.S., UK, Canada, Poland, the Netherlands, Germany, France, Lithuania, Luxembourg, and Singapore. I see the appeal of the small coverage for many users who would rather prefer several speedy servers in 2-3 select locations to a gazillion of servers they won’t use. On the security front, HideIPVPN delivers a formidable selection of protocols including SSTP, SoftEther and the most secure of them OpenVPN complete with AES 256-bit and RSA 4096-bit encryption. These are rock-solid tech specs. At the same time, the provider is unreasonably secretive about its jurisdiction. The website contains no clues as to where it might be registered, so I had to run a WhoIs lookup. The VPN company was registered by Adrian Crismaru of Server Management LLC based in Delaware, US. This jurisdiction means gag orders and data retention laws apply to your log files and user account data. The company’s ToS and Privacy Policies are uninspiring. 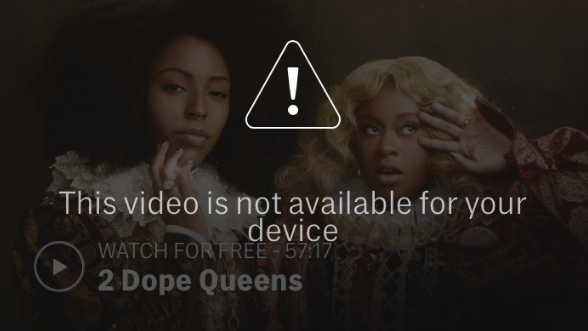 Although the provider keeps no activity logs, it might block you or send you a warning if you torrent using any servers other than the ones allowed for torrenting. This means there is some sort of monitoring of what your account is up to on the network. The provider doesn’t keep your IP address but may store personally identifiable information you provide at checkout. Most troubling, however, is that the company will disclose your information to law enforcement without giving you a heads up. If you should subscribe from a “high-risk” country or your order looks suspicious in any way, the company may request proof of your identity. If you should refuse, your account will be terminated without any refunds. It saddens me how HideIPVPN comes in as a confident VPN with good speeds, excellent security specs, plenty of unblocked streaming sites, and a sleek client only to rain on its own parade with poor customer support and shady privacy policies. Use at your own discretion. SnowHaze VPN is the brainchild of young, Zurich-based startup Illotros GmbH. Offering OpenVPN, robust encryption, and self-managed servers in five countries, SnowHaze VPN is an iOS exclusive. For the time being, it feels like a work in progress, though. The concept is stellar, but the execution and user experience are rough around the edges. SnowHaze VPN comes as a premium feature of the SnowHaze Private Browser. The latter is free, but you need to subscribe to one of SnowHaze’s paid plans to use the VPN on your device. Do note that the VPN can be enabled for the entirety of your device, not just the SnowHaze browser. Fortunately, the provider offers a seven-day free trial. You still need to confirm your purchase via iTunes and then confirm it again via a confirmation email, at which point it becomes obvious not everything is set up to trim the unnecessary steps. If you do not intend to use SnowHaze VPN beyond the free trial, you need to cancel your subscription. Otherwise, iTunes will keep processing your subscription regularly. You can purchase SnowHaze VPN for $6.99 a month or $47.99 per year. 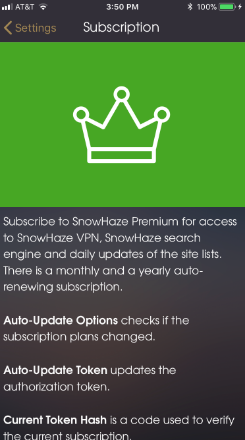 Provided you only get servers in five locations and an extremely limited OS support, the month-to-month subscription with SnowHaze VPN seems unreasonably overpriced by today’s standards. Note: there is no money-back guarantee or at least a limited refund policy. SnowHaze is currently available on devices powered by iOS 9.2 and later. You can use a single license on all of your iPhone, iPad, and iPod touch devices as long as they share your Apple ID. Right from the get-go, SnowHaze makes a usability statement – it’s not made for the faint-hearted. Although the private browser looks sleek and comes jam-packed with nifty privacy and security bells and whistles, the VPN setup rains on its parade. Getting to the actual VPN feels like cutting a path through the jungle. First, you need to install the private browser. Then you must subscribe, which comes with a few hiccups. Next, you must install the OpenVPN Connect app from the iTunes. It doesn’t help that you must import each config file from SnowHaze to OpenVPN Connect manually and then enable them in your iPhone’s VPN Settings. You end up joggling three apps just to setup your VPN. 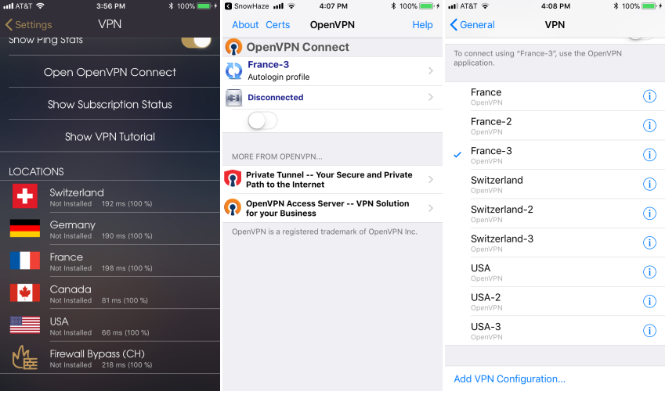 Your OpenVPN Connect app lists a country with the number of servers you have imported into it while connection happens in your iPhone’s VPN settings. You end up with a cluttered phone and a convoluted VPN usability. If you like things streamlined and simplistic, you might find the setup aggravating. Also, SnowHaze updates its VPN config files once a month. I understand the security advantage here, but having to go through the torture every month is a technology overkill for an average user. 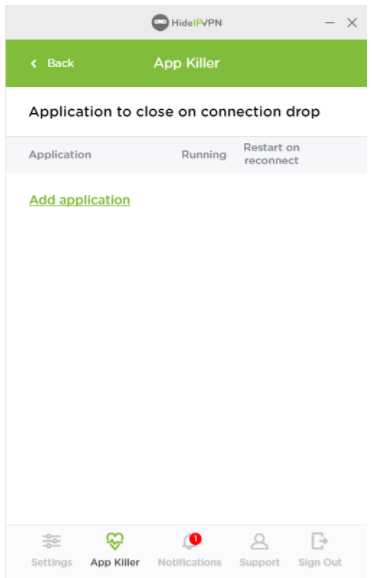 OpenVPN Connect app is the classic route most VPN providers go due to iOS limitations, even though the app tends to be a massive battery drainer. There may not be too many things the provider could have done differently. But unless you are fine with the inconvenience of hopping between three apps to use one VPN, you aren’t going to enjoy SnowHaze VPN. SnowHaze Private Browser is an overall beauty, though. Its background color turns from Orange (free) to Green (premium) based on your subscription, which is a color-coding touch I liked. The knowledge base is limited to a quick setup tutorial and a FAQs section available on the company’s website. The FAQs mostly dwell on the private browser, which means the VPN feature has just one tutorial while the customer support is available via email only. SnowHaze VPN relies on self-managed dedicated servers in Switzerland, France, Germany, USA, and Canada. One Swiss server runs on TCP port 443, which specifically serves to bypass firewall restrictions (like the great firewall of China). 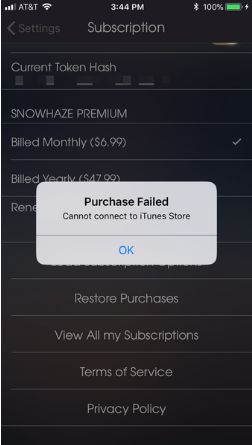 The good news is you can use your SnowHaze subscription on all iOS devices running on your Apple ID. Nothing remotely illegal is allowed, mind you. Even though there are no toggles to enable a kill switch or a DNS leak protection, SnowHaze operates its own DNS server and doesn’t use a Split-Tunnel VPN. Therefore, DNS leak protection is implemented on the server side. 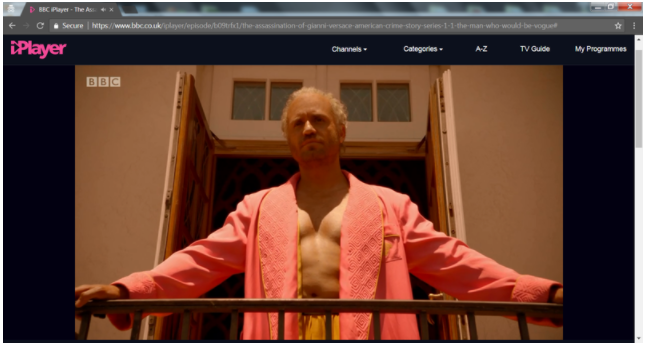 I was able to stream Netflix without much trouble except for a slightly noticeable buffering delay. 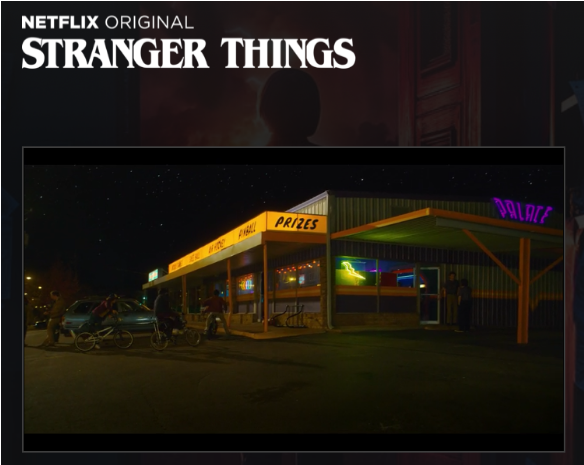 I ran my streaming tests in Chrome’s Incognito mode with Desktop version of websites since mobile streaming apps like Netflix tend to override VPN’s settings and leak your real location. 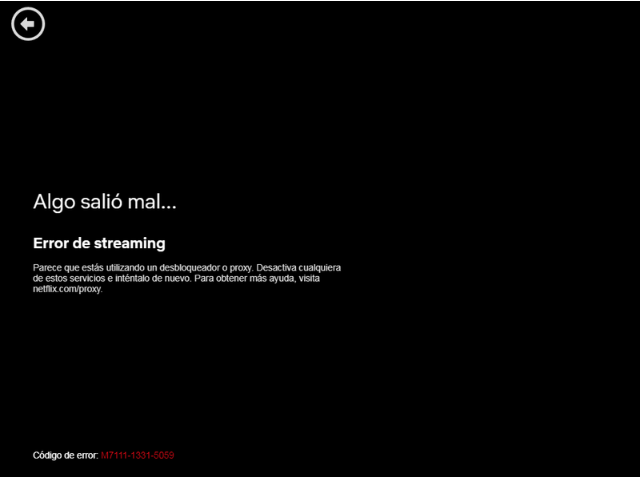 Although HBO recognized me as coming from the U.S., I was unable to stream due to operating system limitations. 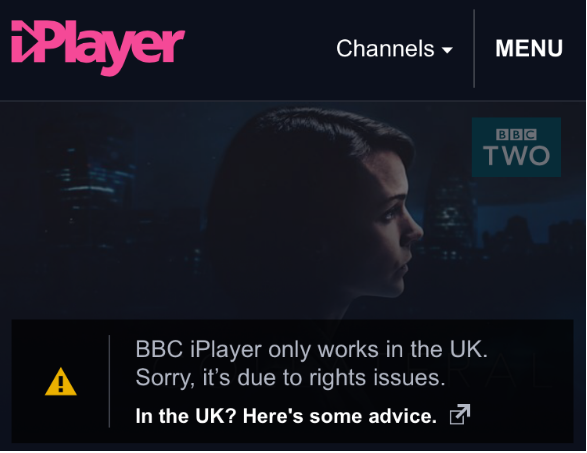 Due to the lack of a UK server, BBC iPlayer was not an option. 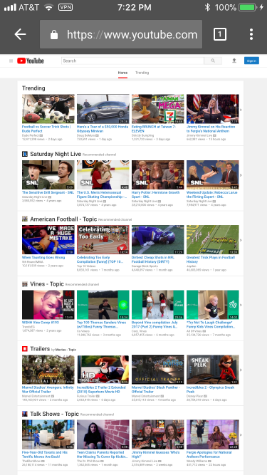 I tried loading YouTube in Chrome’s Incognito mode when connected to a French server, but all titles and suggestions appeared perfectly American whereas I expected them to show up in French. Understandably, the developers meant for their VPN to be used in conjunction with their private browser. But that leaves behind many users who do not want to be learning new interfaces and prefer their favorite browsers instead. On the security front, SnowHaze VPN looks solid with the self-managed dedicated servers, DNS leak protection, OpenVPN and AES 256 for data transmitted and RSA 4096 for keys generation. But its developers implemented a few more nifty features to protect your privacy. Single user credentials are used for authorization by every device on the network. This means the provider can’t tell one user from another, which sounds like a zero-knowledge principle to me. Kudos for that. Also, the company is incorporated in Switzerland, which enjoys some of the best privacy protection laws. On the other hand, their ToS page states the company may review content you access through its services. The provider may “remove or refuse to display content” it deems illegal or in violation of its policies. That is filtering, if not censorship. SnowHaze VPN offers robust security and privacy but seems to reserve the right to censor the content you access. Its mobile browser is a find but its VPN is difficult to set up and a pain to use while being limited to iOS exclusively. Its DNS leak protection and dedicated servers are excellent, but mere five server locations are not enough to appeal to a wide audience. 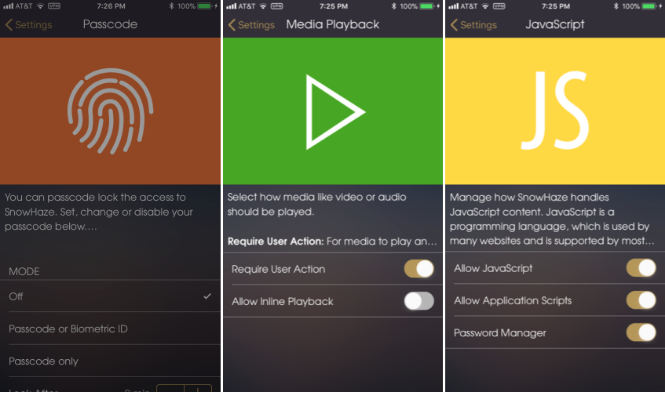 The app might get traction if it becomes streamlined and intuitive at some point. But right now, it’s unappealing to average users like myself. Last but not least is the absence of a refund policy. Given that tech startups come and go – mostly go – I don’t feel confident SnowHaze’s yearly subscription is worth the risk while their monthly plan is overpriced.